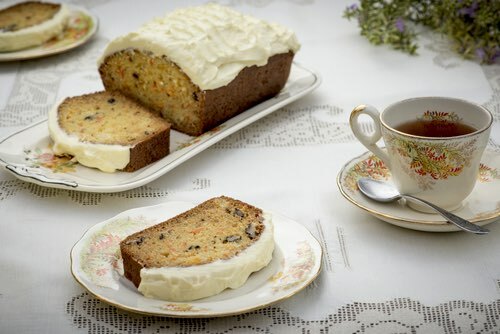 Who doesn't want a moist carrot cake recipe? 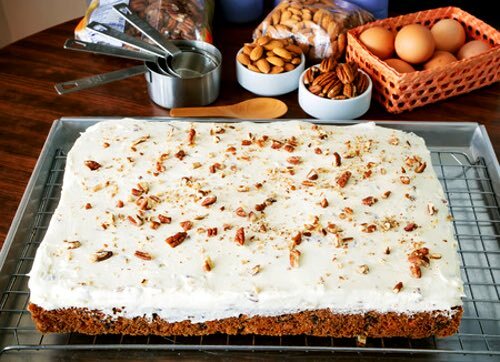 Nothing spells homemade more than a generous piece of carrot cake served warm from the oven. With its wholesome carrot, fruit, nuts, and spices it's lots healthier than anything store-bought. And since it's moist, you don't really need to ice it. 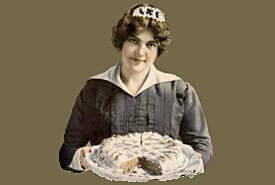 But, if you must satisfy your sweet tooth, it's simply fantastic when served with its traditional cream cheese icing. Mix ingredients and bake in 2 oiled loaf pans for 2 hours at 275°F. Cool and wrap in foil for moist keeping. 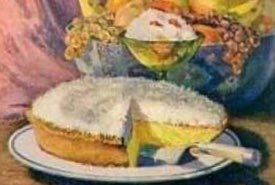 Mom sometimes sprinkled some chopped walnuts or a little freshly shredded carrot over the cream cheese icing to add decoration. 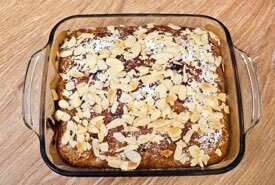 This cake is especially moist and delicious when iced with cream cheese frosting (below) or an old fashioned buttercream icing. It's also delicious when served without any icing, just some dusted icing sugar on top. It's great for lunches, but it makes a delicious and nutritious snack too. Blend together sugar, salad oil, and eggs. Beat until slightly thickened. Sift together dry ingredients and combine with egg mixture. Add carrot, apple, raisins and nuts, and blend. Turn into greased and floured 9x13x2-inch cake pan. Bake for 35 to 40 minutes in a moderate oven (350°F) until done. Beat cream cheese and butter until fluffy. Beat in icing sugar and vanilla until well combined before spreading on a carrot cake at room temperature. Here's something unique and absolutely delicious. 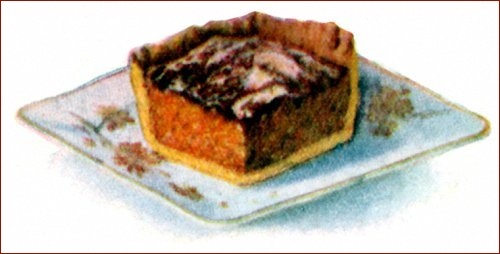 It's an old fashioned recipe for carrot cake in a pastry shell. It can be baked as squares or in a tart shell instead. Perfect for Thanksgiving Day, but a delight to serve the year-round.